This is a very special kit for us to produce as the one piece body pattern comes from some of the last casting work done by Martin Lofton, who was Sunshine Models. This car is also composed of the last set of patterns Charlie Slater created for Martin. The kit is a tribute to all the work Martin did to advance prototype modeling. While the patterns could have been updated to better match some of the newer detail parts; it was left as Martin had prepped them. This will be Resin Car Works kit 5.01 and will be for sale at RPM Chicagoland for $65 each, plus the combined local and state 7% sales tax. The car sides are thicker than usual and require more resin, which has increased the cost. A benefit of these thicker sides is that the underframe can be left off when painting the car, making for an easier job. Decals will letter the white freight version including the Eagle slogan and larger shield, along with dulux lettering for the passenger version. To paint the car in Eagle colors, the modeler will need to get decals from Microscale separately (product numbers are noted in the instructions). Other parts included a Plano Models 50-foot etched metal running board, Precision Scale brass air hoses and brackets, Tichy Train Group AB brake set, and two styles of ladders; Yarmouth Model Works, built up brass ladders and Tichy plastic versions. 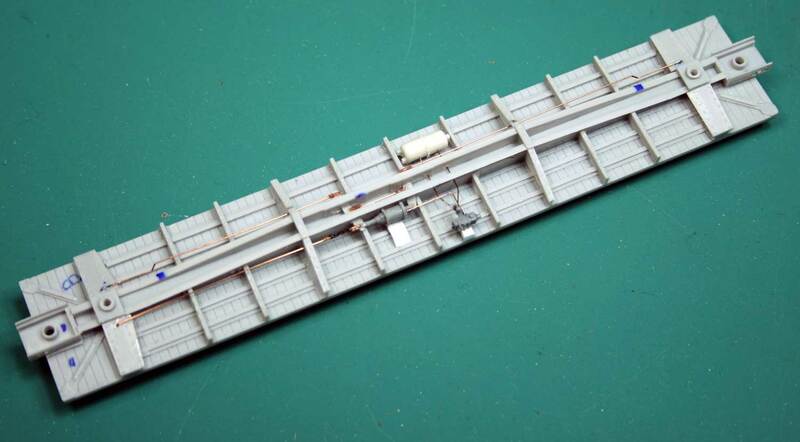 The Tichy ladders need to be lengthened, which is why both are being provided. On May 9, 1941, the Missouri Pacific Railroad placed an order for 100 of these automobile cars with the American Car & Foundry Company. They were to become the first all-steel 50’ box cars on MoPac’s roster. The order was divided into three lot numbers depending on the interior arrangement. 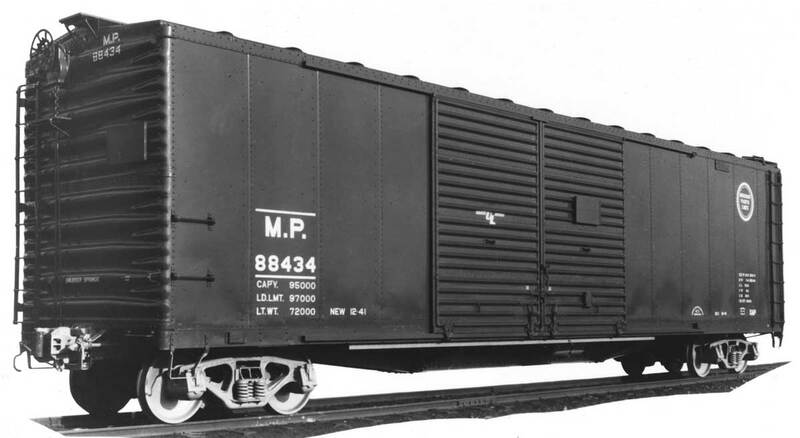 In December 1941 MoPac received the cars that were built at ACF’s plant at Madison, Illinois. They came with a unique underframe that was atypical of the standard straight A.A.R. center sill design typically used on steel box cars during the early 1940s. Rather, a fish-belly center sill arrangement, 26-inches at the deepest point, was comprised of two built-up parallel structures formed by a pair of fish-belly webs 13-inches apart supported top and bottom with angles. The fish-belly center sill required 26” deep crossbearers at the points they connected with the center sill. This center sill provided the necessary longitudinal strength that permitted the use of straight side sills that were formed with 10-inch channels. Four Z-section stringers, two on each side of the center sill, extended between the bolsters and provided additional strength and support. 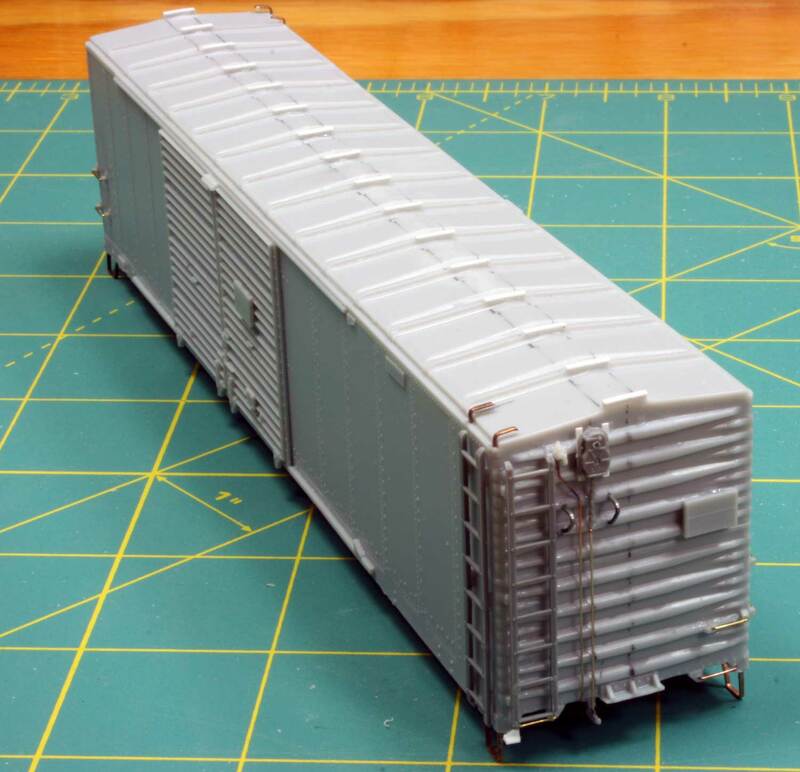 We are very excited to bring this MP automobile and express car to HO scale freight car modelers. Register now for the upcoming RPM Chicagoland meet, October 20-22 in Lisle, IL. We will be there with these new kits, the UTLX X-3 tank cars, grain bins, boiler loads, Illinois Central Hopper kits, and decal sets. We look forward to meeting you there! 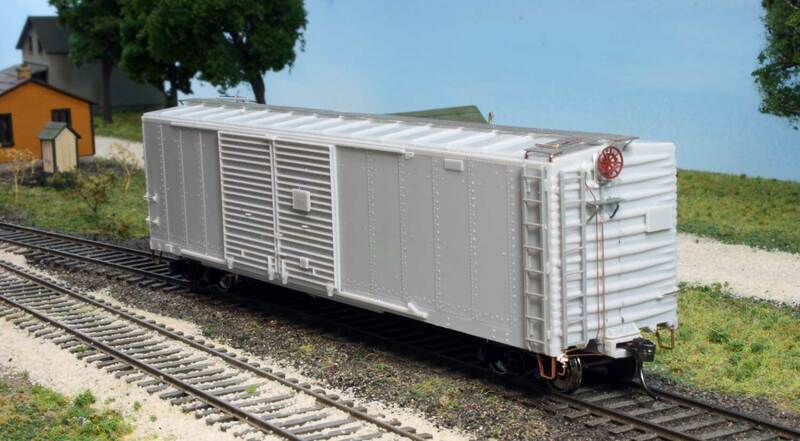 For those who are unable to attend the RPM Chicagoland event, the MP box car and UTLX X-3 tank car kits will be available through Resin Car Works after the event. Nice model! The castings look beautiful. Martin would be proud, and envious of the gorgeous one-piece body casting. Well done, boys! Will these be available to order online? Not able to get to Chicago. Too far from Texas. I cannot attend the Chicagoland RPM event but would like to purchase one of these kits if any are available after the meet. Were the ‘express’ versions of these cars run in passenger and/ or mail trains? Yes, they were used on passenger trains. For the line I model specifically 88304, 88314, and 88316 were mentioned. Will the kit be available for those who aren’t able to attend the meet? I have a question about the roof of this kit. On first glance, it looks like a rectangular raised panel roof; but upon closer, magnified inspection, the raised panels aren’t apparent. Is this a flat panel roof? If so, what are the particulars? The cars had rectangular panel roofs. And when properly represented, it’s very hard to notice the raised panels when viewed from a low angle.